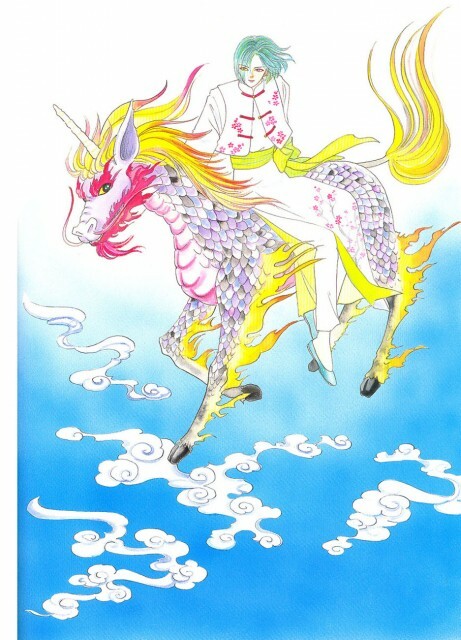 One more from the Artbook "Maboroshi no Hana Yoi no Tsuki"
Quote:MadoshiKurefu, I like the dragon-unicorn-thing! XD. It is actually called a Kirin. One of the four most treasured beats in Chinese mythology I believe.Thanks for the wonderful scan!